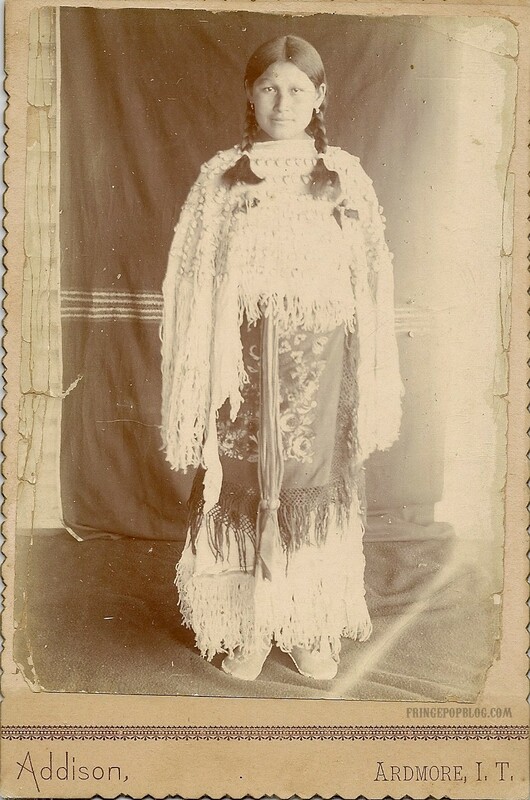 FringePop: Cabinet Card from "Indian Territory"
Cabinet card of a pre-teen to teenage Native American girl. Interestingly, it's from Ardmore, I.T., I.T. standing for Indian Territory. Ardmore, I.T., is located in present day Oklahoma, and the town still exists. Based on the location, she was likely a member of the Chickasaw Nation. Happy Turkey Day to you too!